The game was developed by Telltale Games and released in 2010 for PC. The PS3, Wii and iOS version followed in 2011. 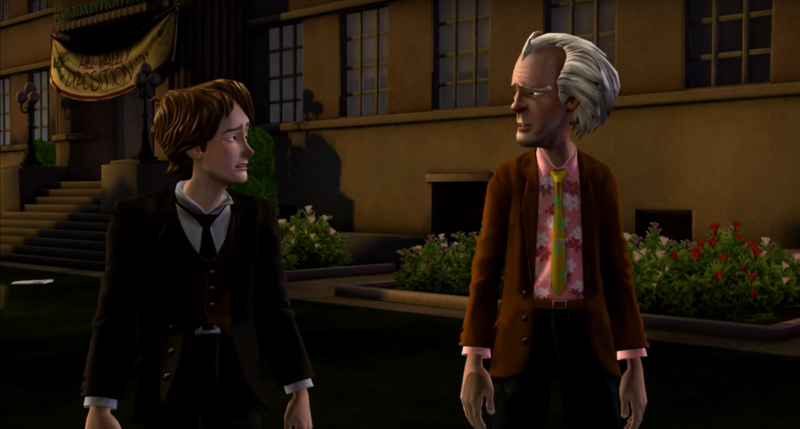 In commemoration of the 30th anniversary of Back to the Future, Telltale released the game for PS4, Xbox One and Xbox 360 this October. 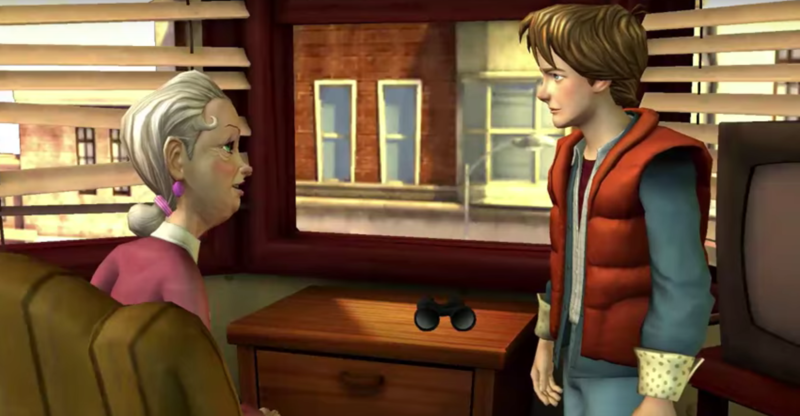 The game consists of five episodes that all tell a story about Doc and Marty traveling time. 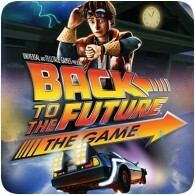 You can buy this entertaining game and feed your Back to the Future nostalgia by using a PSN Card from Mobiletopup.co.uk. NOTE: there are no spoilers in this review! STORY: The game takes place in Hill Valley and the nice thing about it, is that the story is written by the original screenplay writers of the Back to the Future trilogy. This really makes the story of the game interesting to follow. I cannot say much about the storyline without spoiling too much. Because the game is actually about the story and not really about the gameplay. You’ll just have to play it to find out, otherwise the game won’t be any fun! One teeny tiny sneak preview: remember how the DeLorean was smashed by a train? Not anymore! The car is back and you’ll find out how that happened in the game! GAMEPLAY: Back to the Future: The Game – 30th Anniversary Edition is a point and click style adventure game, which makes it more of an interactive movie than an actual game. You play the game by clicking on objects and control Marty by letting him move in certain directions and letting him interact with the objects you chose. The game pretty much only consists of dialogue and puzzles. You can decide out of three lines what Marty can say to another character. The puzzles are very easy, but solving them can become long-winded when you do get stuck. Even though the story is a bit long, you get intrigued by it and you want to play on and on to find out what happens next. The story always ends the same way, because you can never lose this game. GRAPHICS: The graphics are nice, but simple. Nothing flashy, but there are a lot of extra details built into the game. For instance, when you’re in the old lady’s house in episode one, there are a lot of attributes you can have an interaction with that aren’t actually part of the puzzle. You can turn the knob on the radiator which makes the old lady think the kettle with hot water is boiling or you can look through the binoculars. There are a more things, but I don’t want to spoil everything. Unfortunately, the lip synching was a letdown and there are some glitches. Overall though, there is nothing too annoying about the graphics. SOUND: The game uses the same voices as in the movie, which is very cool. Doc’s voice is done by the same actor as in the movies (Christopher Lloyd) and Marty’s voice is done by a voice actor that sounds just like Michael J. Fox. In the originally released game, Kid Beyond voiced Biff Tannen. For the 30th anniversary release Telltale replaced Kid’s voice with Tom Wilson’s voice. Tom Wilson also played Biff Tannen in the movies. The sound effects are also very nice and the game has very movie-like tunes. This all combined really gives you the Back to the Future feeling. LONGEVITY: There are five episodes you need to complete to finish the game. Each episode takes about two and a half to three hours to finish. This means that you’ll have to spend 12.5 to 15 hours on average playing the game to finish it. So if you’re really into the game and you’re on a gamestreak, you can finish it within a day. VERDICT: The puzzles are easy to complete and you can keep going until you do it right, which does not make the game very challenging. On the other side, the storyline is interesting and the dialogues are funny. Overall it is a very simple game, but because it gives you the real Back to the Future feeling it is very entertaining. It’s not the best game I’ve played, but it does have a way of sucking you in and making you want to keep on playing.